Your head protected by the Kaspar Steel Helmet, you confidently ride towards your next battle. 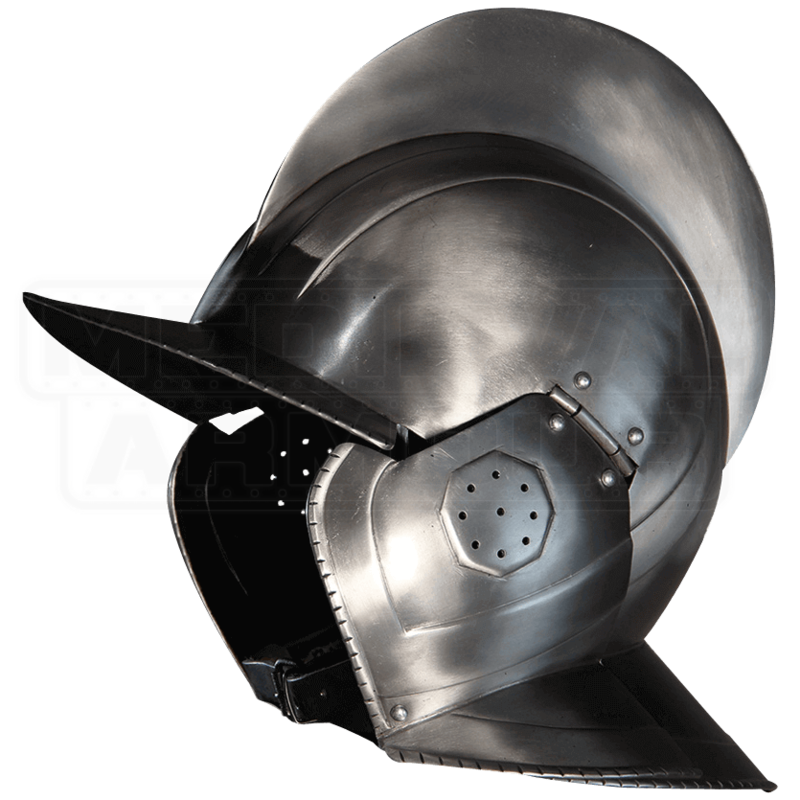 Based on helmets worn by Renaissance cavalry and pikemen alike, this handcrafted helmet features a round crest, cheek flaps, and a visor. The fixed steel visor protects your face from attacks from above, and the hinged cheek flaps closely guard the sides of your face, small holes punched into their center to allow hearing. A slight extension on the back of this burgonet helmet protects the neck while a buckled leather strap secures the helm in the front. For best comfort and safety, wear a padded arming cap underneath this Renaissance helmet. 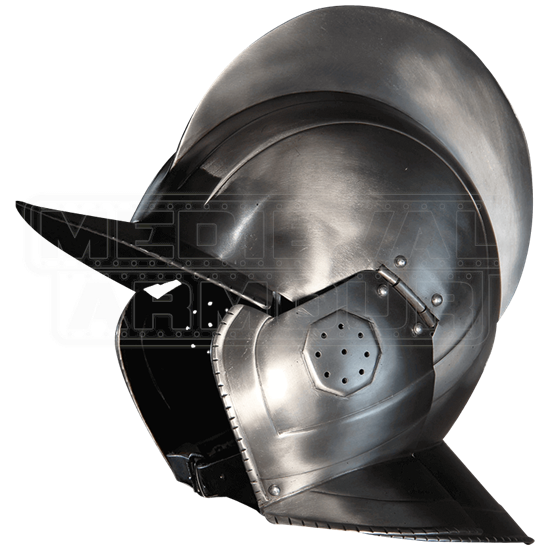 Great for historic soldiers or fantasy realm fighters, this steel visored helmet will impress on both the LARP battlefield and at costume events.